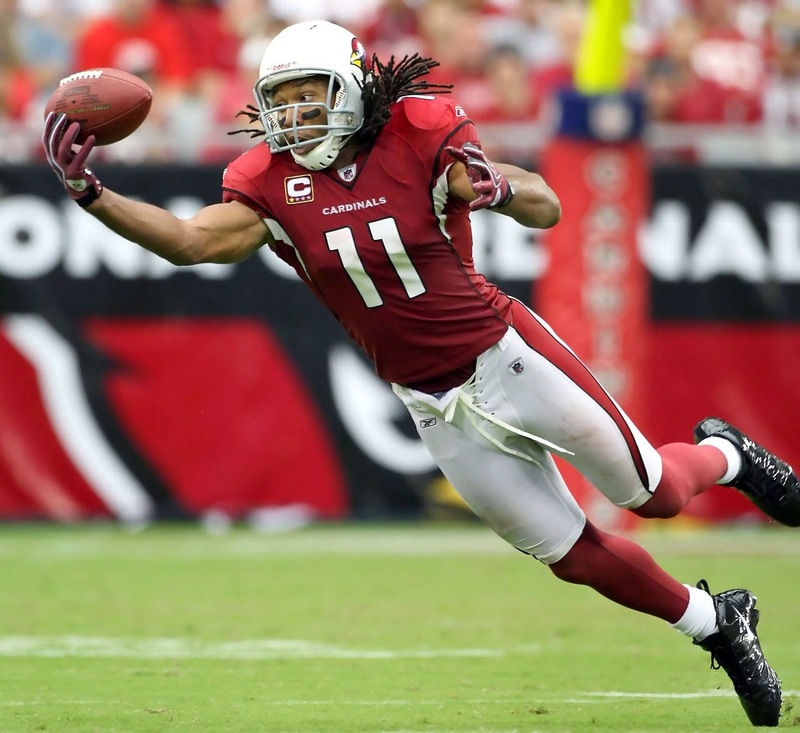 Larry Fitzgerald has been amazing in recent weeks, but a less than ideal QB situation and brutal matchup should keep him on your bench. We're gonna be brief today because I've got about 8,000 things to do other than fantasy football. I mean, none of them are more important than asserting your dominance over friends and family via football knowledge, but they all have to get done. So, you're just gonna have to trust me with little elaboration this week. Ryan has been a bit of a fantasy disappointment to many. I drafted he and Romo both a little later just hoping one would work out, and thus far Ryan has spent the year on my bench when Romo has been healthy. But the fact remains that he's still a solid fantasy QB (he's thrown for a TD and over 210 yards in every game this year) and the Panthers are a dream match up for any signal caller these days. The Niners are bouncing back, and the Giants are a dream macthup for a physical back, surrendering 24.82 fantasy points to opposing backs each week (2nd most in the league). The return of RG3 brought a big fantasy week for Jackson. This week, with the porous Buc secondary in town and Griffin with another week under his belt, expect another big performance from Washington's homerun hitter. Cutler has thrown a pick in five of his last six games, with three multi-pick games in that stretch. In fact, his only redeemable game the last two months came in a blowout against New England where he poured on stats in garbage time. The Vikes probably won't blow out the Bears, but they do rank third-best in the league against opposing fantasy QBs. Once, again, I'm buying the explosive Mason long-term, but the Rams' refusal to commit to him as the unquestioned top back, plus a brutal matchup against a good Denver run defense (and the fact that St. Louis may spend the day throwing from behind) forces me to keep him on the bench again. Fitzy had been on a tear and was developing chemistry with QB Carson Palmer, but Palmer's injury, plus a matchup against a Detroit defense surrendering the fewest fantasy points to receivers this year make me think he'll cool off this week. Keep in mind that in new QB Drew Stanton's three other starts this year, Fitzgerald had 142 yards and 0 TDs… Total.